Last Christmas, Thrill Jockey set up its very own advent calender, letting label followers have their very own musical Christmas countdown with daily MP3 offering. And while a new initiative by the long-running Chicago imprint may not be as novel, it's an oldie but a goodie, as they say. Thrill Jockey has announced it's following in the long and proud indie label tradition of launching a singles club, which will find the imprint offering up a series of limited-edition 12-inch singles. By subscribing, you'll get your paws on singles from Tortoise, Mi Ami, Javelin, Pit Er Pat, Pontiak, Thank You and White Hills, who are all contributing releases to the club. In total, there will be seven 12-inches included in the series, with those coming to subscribers in three separate packages. It kicks of this month with remix releases by Pit Er Pat and Tortoise, whose contribution, as previously reported, will feature Boredoms' Yamantaka Eye redoing a track and Mark Ernestus remixing another. 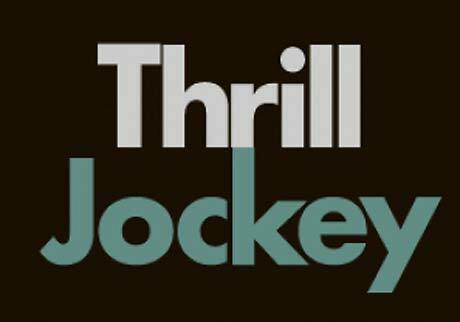 To get all the details on Thrill Jockey's singles club or to sign up, click here.